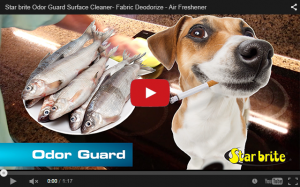 Odor Guard Surface Cleaner, Deodorizer and Air Freshener is a great alternative to sprays that only mask odor. It uses cutting-edge ingredients that actually capture foul odors to eliminate them on contact. It can be used on fabrics or carpeting to remove odor, on hard surfaces as a cleaner, or used as an air freshener. 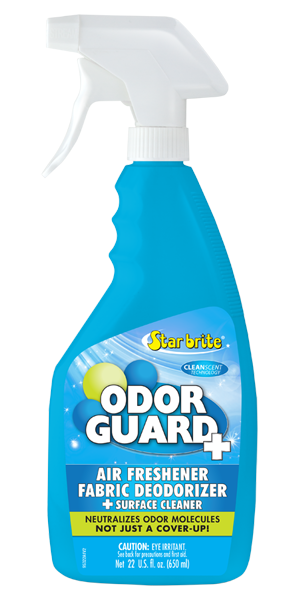 Eliminates odor quickly & permanently. Safe for use on all hard surfaces & most fabrics. A very effective air freshener for interior spaces. As an air freshener, spray into air to remove odor. To clean hard surfaces, spray onto area to be cleaned and wipe up with a cloth, sponge or paper towel. Wipe up any overspray onto areas not intended to be treated. Note: Before applying to fabric or carpet to remove odor, test for adverse reaction in an inconspicuous area. Apply to area to be treated and use a cloth to absorb any excess.